Ex-England youth international Emmanuel Frimpong made his first outing for Ghana at senior international on Sunday during the 4-0 2014 World Cup qualifying victory over Sudan. The Arsenal midfielder marked his hugely-anticipated debut for the country of his birth with the emphatic win in his hometown of Kumasi. The Fulham combative midfielder replaced Rabiu Mohammed in the second half and was impressive with an authoritative display with accurate passes. Two knee injuries had prevented him from making his debut sooner, but he finally made his maiden appearance for the Black Stars in a World Cup qualifier against Sudan this afternoon. But he was delighted he he waited to play on the day the Black Stars had an emphatic victory especially when playing his debut in his hometown. "Party in Kumasi Ghana tonight. You are likely to see me at your local club. Great win lads," Frimpong wrote on Twitter. It was the first game for the 21-year-old since his nationality switched was rectified by FIFA in November last year. 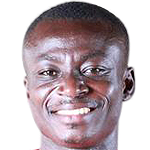 He will look ahead to integrating slowly into the current Black Stars set-up. The 21-year-old, who is currently on loan at Fulham, has previously represented England at youth level. However, in 2011 it was announced that Frimpong had pledged his allegiance to Ghana, despite reported attempts from the Football Association to get him to commit to England. The Black Stars have moved within touching distance of Zambia after the Chipolopolo dropped points at Lesotho early on Sunday. He was quite good. Particularly l was pleased with his interviewKwabena Yeboah. Frimpong should be drafted into the position of Anthony ANNAN/MICHEAL ESSIEN. Ghana we are never short of players. well play. Yes we have won,but there was something missing.The boys could not play to the deligth of Ghanaians.This brings in to question,the tactics of the coach.For now people migth not this but against a more stronger side appiah will surely be in big troule. Why are u guys being mean on Kwasi Appiah like that? Aren't u impressed that he got a 4-0 win for the them..in any case,Sudan aren't any mino in futbol! This same side beat Zambia 2-0 be4 the board room of Fifa awarded Zambia with the points.. FOR ME,I SAY KUDOS TO KWESI APPIAH,THE TECHNICAL TEAM AND THE ENTIRE PLAYING BODY! Well Done! !